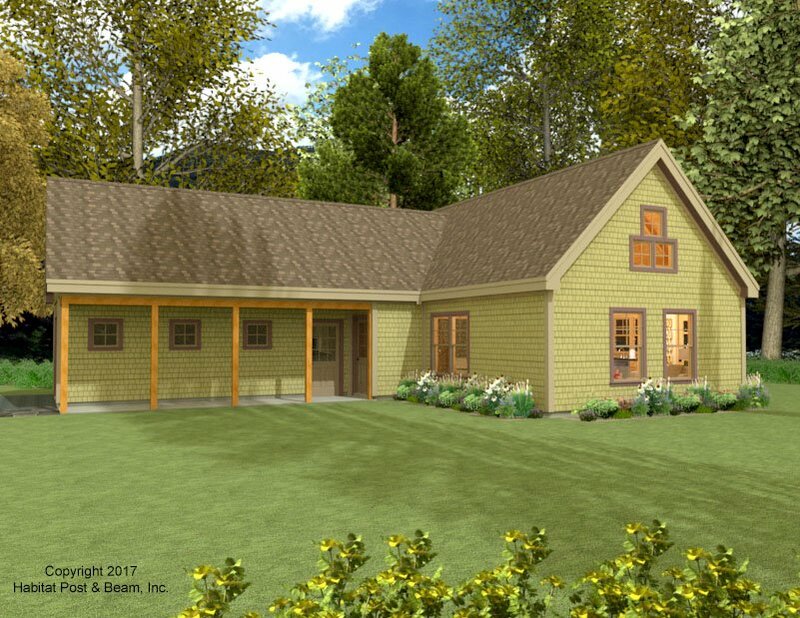 The latest design is a charming caretaker’s cottage for a mountainside home in the Connecticut River Valley area of western Massachusetts. At about 825 sq. 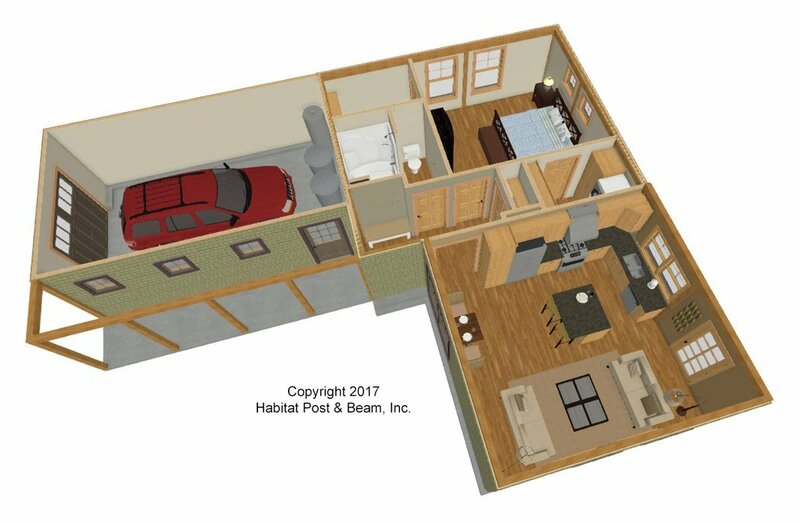 ft. (not including entry porch and one-car garage), the entire house uses our standard Beamed Exterior Wall System (http://www.postandbeam.com/wall-framing-system). 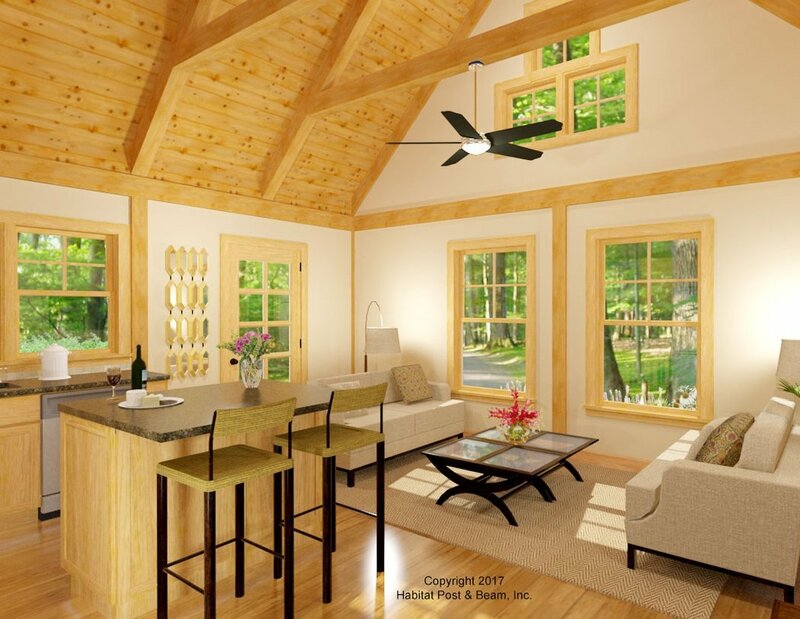 The main living area to the front (living, kitchen, and dining) are under a Beamed Cathedral Roof System (http://www.postandbeam.com/roof-framing-system). 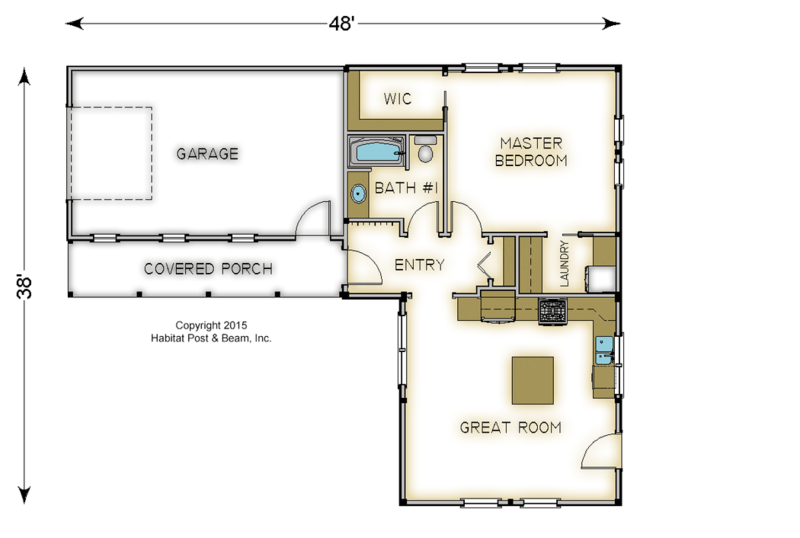 The back section is a central entry with a laundry room, and a generous master bedroom suite with walk-in closet and full bath- all under a conventional mid-floor (ceiling). Upstairs over the bedroom there is a storage loft that looks down onto the living area below. It’s under a cathedral Plaster and Accent Beam Roof System (http://www.postandbeam.com/roof-framing-system), and is accessible via a pull-down stair. 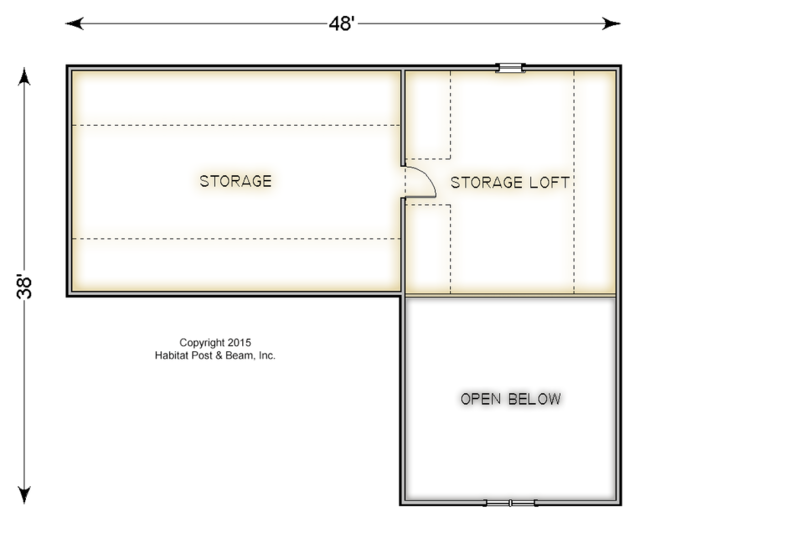 It also opens into the upper level of the attached garage (not included) for additional storage. Package Price: $92,000 as specified below (from $84,000 to $113,000 depending on framing options).